Connected Horizon: Automated vehicles rely on environmental information – information that goes beyond what sensors can gather. For instance, they need real-time traffic data on congestion and accidents. This can be achieved only by connecting the vehicle to a server, for which Bosch developed its Connected Horizon solution. This system enables a dynamic preview of the upcoming route and corresponding adjustments to driving strategy. Connected Horizon is what allows automated vehicles to think ahead. This is beneficial for the comfort and safety of the driving experience. For instance, connected vehicles are warned in advance of danger spots before a blind bend or hilltop and can ease off the accelerator in preparation. Electric steering: Fail-safe, electric power steering is a key technology for automated driving. 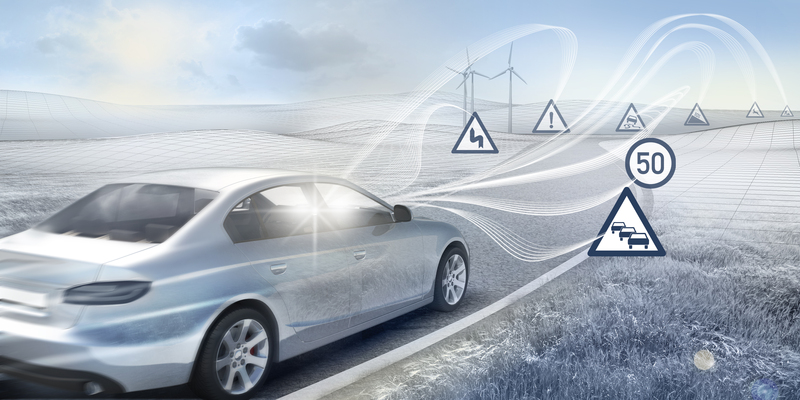 Even in fall-back mode, fail-operational capability allows drivers and automated cars to continue using essential steering functions while maintaining about 50 percent electric steering support in the rare case of a malfunction. This technology will enable automakers to comply with the safety requirements as proposed in the Federal Automated Vehicles Policy documents from the U.S. Department of Transportation and National Traffic Highway Safety Association, for example. ESP: The electronic stability program also plays a key role when it comes to automated driving. Delegating responsibility for driving to the vehicle places particular demands on safety-critical systems such as the brakes. To retain maximum control over these systems in the event of the failure, redundancy must be built into the system as a safeguard. In this instance, the ESP brake control system and iBooster electromechanical brake booster (see below) can independently brake the vehicle without the driver having to intervene. Bosch offers ESP as a modular concept that offers the right system for all circumstances and requirements. 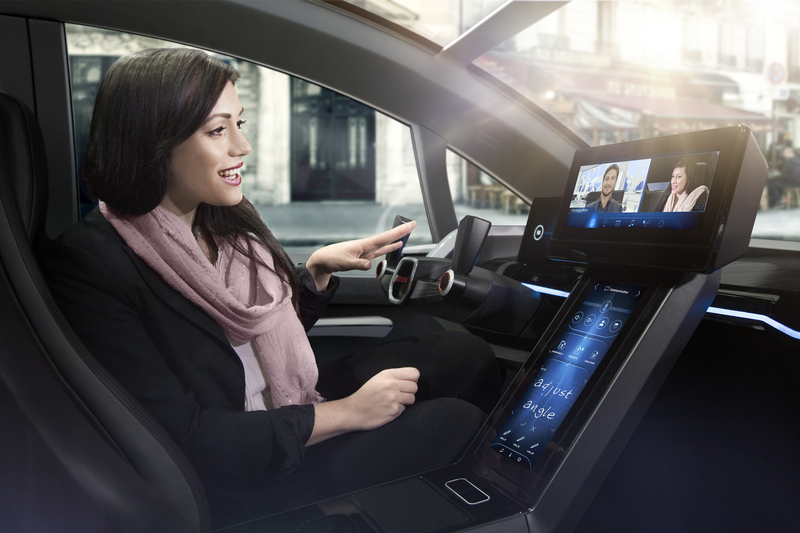 HMI: Automated driving will change the human-machine interface, and calls for modern concepts for communication between car and driver. The driver must be able to intuitively understand and use the system. With its innovative display instruments, Bosch is already offering promising solutions in this area as well: the TFT instrument cluster, for instance, offers maximum flexibility in processing combined with brilliant clarity. By using head-up displays, Bosch puts information such as speed, navigation prompts, and warnings directly in the driver’s field of view. This information is superimposed on the vehicle’s surroundings in such a way that the two seem to blend seamlessly at a distance of around two meters ahead of the vehicle. 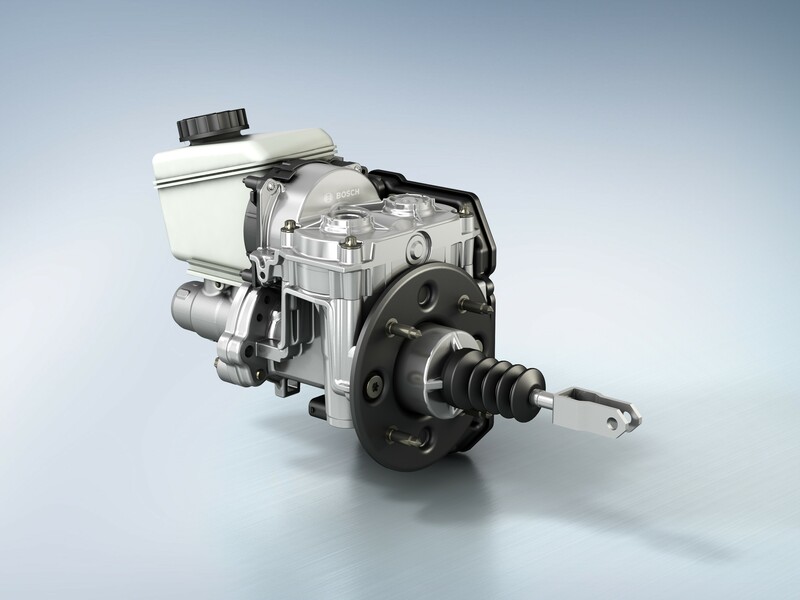 iBooster: With the iBooster, Bosch has developed a vacuum-independent, electromechanical brake booster that meets the requirements for modern braking systems. It can be used in all powertrain concepts and is especially well suited for hybrid and electric vehicles. In the iBooster, the actuation of the brake pedal is recorded by the built-in pedal-travel sensor and transmitted to the control unit. The control unit calculates the triggering signal for the electric motor, which uses a two-stage transmission to convert its torque into the required power assistance. In a standard master cylinder, the power provided by the booster is transformed into hydraulic pressure. Maps: Without high-resolution, up-to-date maps, there can be no automated driving. The maps provide vehicles with information about changing traffic situations, such as traffic jams or construction, that fall outside the area on-board sensors can monitor. Bosch’s radar and video sensors capture and transmit important real-time traffic data for the creation of high-resolution maps for automated driving. Lidar sensor: In addition to radar, video, and ultrasonic sensors, Bosch also uses lidar sensors in its automated test vehicles. The various sensor principles complement each other very well and combine data to ensure reliable environment recognition. Automated vehicles use this data to derive their driving strategy. 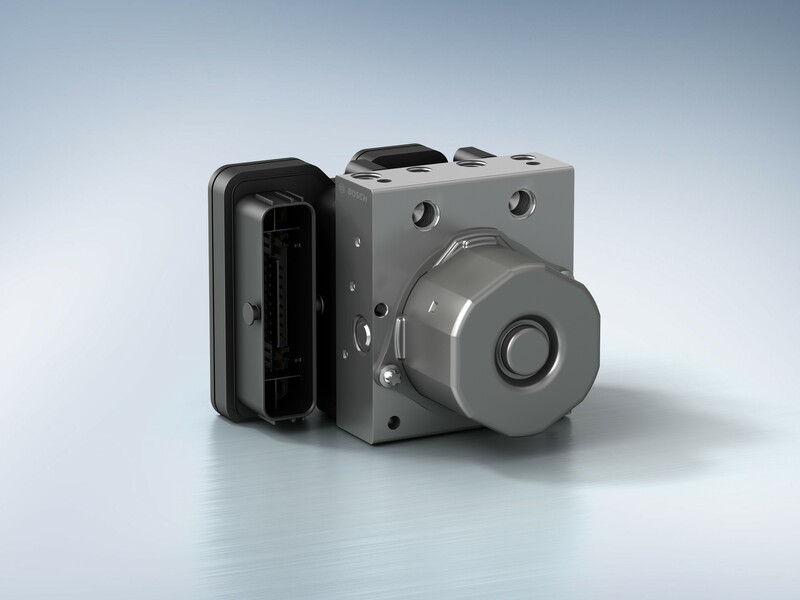 Bosch views lidar sensors as an important addition to its portfolio. Radar sensor: As one of several sensor principles, radar sensors provide important 360-degree information about their surroundings within a distance of up to 250 meters for automated vehicles. A radar sensor’s main task is to detect objects and to measure their speed and position relative to the movement of the vehicle. Furthermore, Bosch radar sensors send frequency-modulated radar waves measuring between 76 and 77 GHz via a transmitting antenna. These waves are reflected by objects in front of the vehicle. The relative speed and distance of objects are measured using the Doppler effect and the delay generated by the frequency shifts between the emitted and received signal. Comparing the amplitude and phase of the measured radar signals makes it possible to draw a conclusion about the position of the object. 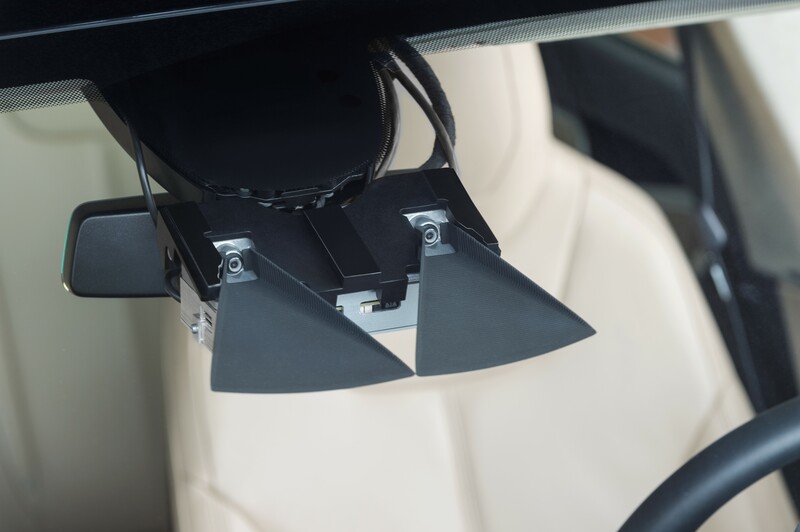 Ultrasonic sensor: Ultrasonic sensors are needed in automated driving, primarily for close-range environment recognition of up to 6 meters and at low speeds, such as during parking. The sensors employ the sonar technique, which bats, for example, also use in navigation. They emit short ultrasound signals that are reflected by obstacles. The echoes are registered by the sensors and analysed by a central control unit. 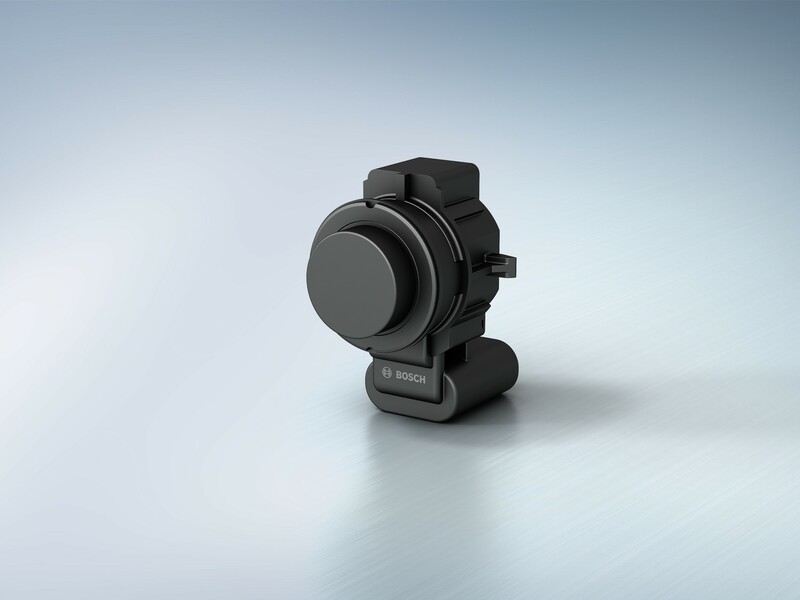 Video sensor: With a 3D measurement range of over 50 meters, the Bosch stereo video camera provides important optical information about the vehicle’s surroundings. Each of the two highly sensitive image sensors, equipped with colour recognition and complementary metal oxide semiconductor (CMOS) technology, has a resolution of 1280 by 960 megapixels and is capable of processing extreme contrasts. The distance between the optical axes of the two lenses is just 12 centimetres. The stereo video camera captures objects spatially and calculates their distance, plus it identifies clear spaces. 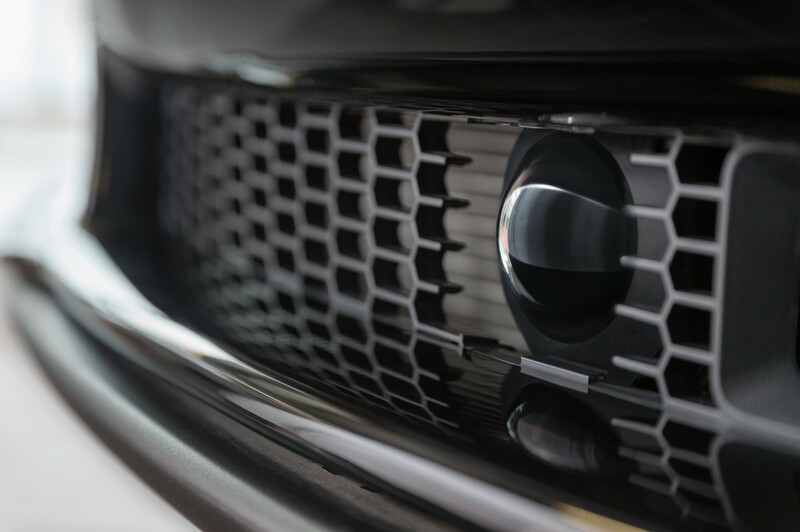 The information from the sensor is combined with data from other sensor principles to generate a model of the surroundings for automated vehicles.